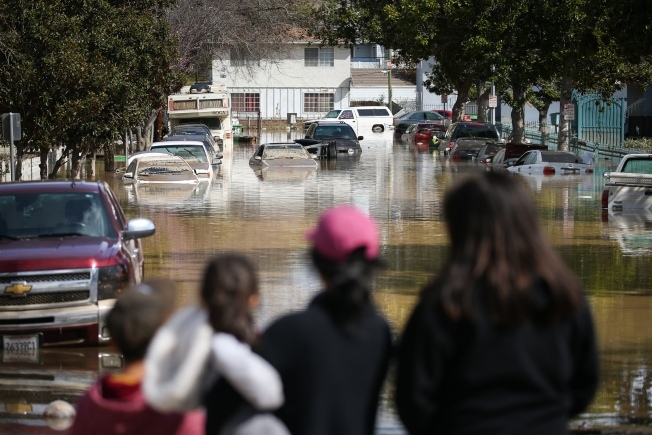 Support for victims of the historic San Jose floods is being organized through the San Jose Flood Victims Relief Fund, which will support non-profit organizations providing immediate and long-term relief and recovery assistance to those in need. Organizations that will benefit from the fund include: American Red Cross, Catholic Charities of Santa Clara County, Sacred Heart Community Service and The Salvation Army. County officials are also offering a calamity property tax relief program. Property owners who have incurred damage that exceeds $10,000 have 12 months to file a claim with the County Assessor's office. Once the applications are in, County Assessor Larry Stone's office may conduct assessments to determine the homes' condition. "This tax relief is available for all properties including homes, commercial and industrial buildings, and mobile homes. However, damage to vehicles and the contents of a home such as personal effects and furniture are not eligible for this tax relief because they are not assessable property," Stone said. Property owners interested in providing short- or intermediate-term housing options for flood victims should visit SCCHousingSearch.org or call 877-428-8844.